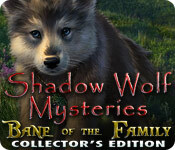 Shadow Wolf Mysteries: Bane of the Family Collector's Edition is rated 4.3 out of 5 by 114. Rated 5 out of 5 by sjoycesam_1997 from Shadow Wolf Mysteries All of them I love this series because I love wolves. Of course, there are no such things as werewolves, however, ERS does an excellent job with these games. The only thing I have a problem with is some of their puzzles. They are hard to understand, or, I just can't figure them out without help. While I am not dumb, I am not a genius, either. I realize these games are made to make you think, as well as remember what piece goes where. But the casual puzzles are even hard sometimes. As long as ERS continues to produce this series, I will buy them. It would just be nice not to have to refer to the strategy guide so much. Yes, I would recommend this series to anyone who wants a challenge and still have plenty of excitement. 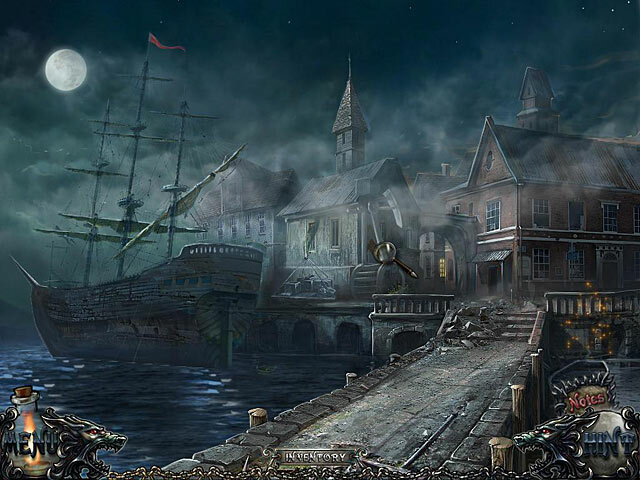 Rated 5 out of 5 by smoovasbutter from Good sequel This game is the second in the series and starts right where the first game (Curse of the Full Moon) leaves off. Good graphics, decent story. Too many HOS's again I think. Also noticed that the interior of the hotel was way too big to match up with what the building looked like. Rated 5 out of 5 by neilskinut from really good game Good voice over and graphics. The game is pretty long and holds your interest. I love ERS games. 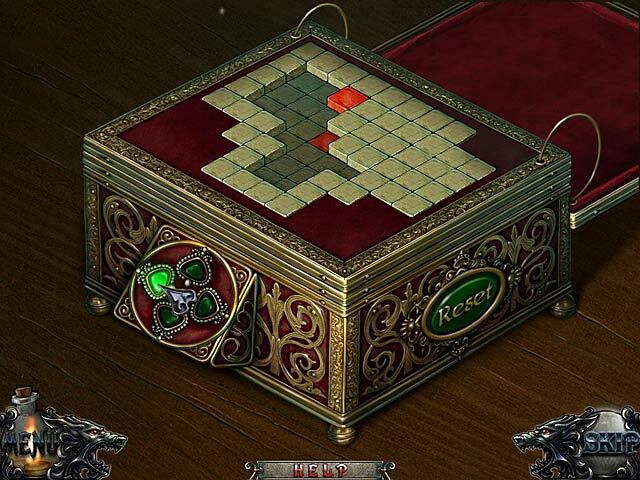 The HO are not hard and the game is not that difficult to keep up with getting clues. Worth the money. Rated 5 out of 5 by spiritlaughing from As The Wolf Turns No need for a long review, it was brilliant, all the way around. Great fun, love the art and the ambience, the play was challenging on the hard level, and story line is a good one, and followied the first in this series seamlessly. 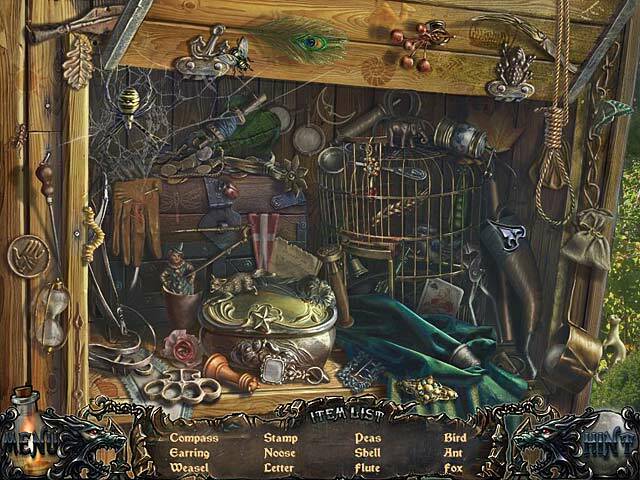 Excellent puzzles and lots of them! I did notice that some of the HOSs were missing the objects that were previously taken out in an earlier scene at the same spot. Nice touch and it makes everything more cohesive. ERS are always worth the buy for me. Rated 5 out of 5 by arnold1049 from A+ ALL THE WAY This is a great game. The story line was excellent and the game flowed well. There wasn't too match going back and forth to get inventory items and game pieces. I did not have to use the strategy guide or the walk through. The HOS were clear and always had one or two items that required a lot of hunting or the use of a hint. I don't think I had to skip any of the mini-games, but then, there weren't any of the kind that I take one look at and skip immediately. The game held my interest the entire time. The only thing was, when I finished it, it said I qualified for extra play, but I wasn't able to figure out where to go to do that. No biggie. If you have a choice between the standard version of a game and the collector's edition, I would recommend that you always go with the collector's edition. This one was great, and I've already purchased the other one in this series. Rated 5 out of 5 by DutchDoll60 from Sorry it ended I really enjoyed playing this game. It ended rather abruptly. I could have spend more time. Storryline was excellent and the game was challenging enough. Rated 5 out of 5 by VENICELOVER from Challenging, Fun Game by ERS! This game was even more fun than the first one! For those experts out there you want to play on the hardest mode or you fly through the game. This one has all the best basics, graphics-sound-etc. Some fun puzzles throughout, but nothing too hard. Good HOG'S with a few twists. Story was great & looks like they will continue it, so we have something to look forward to. Hopefully they will make the next one even more challenging! Rated 5 out of 5 by angie0310 from one of my favorite for sure! a great game, long enough and entertaining. Rated 5 out of 5 by Juju38 from THE BEST! ERS DO IT AGAIN! ABSOLUTELY BRILLIANT, HAS TO BE IN MY TOP 5...BEAUTIFUL GRAPHICS AND GORGEOUS MUSIC WITH A BRILLIANT STORYLINE TO MATCH. HAD TO STOP AFTER FIRST CHAPTER JUST TO WRITE THIS REVIEW AND TO SAY HOW WONDERFUL THIS GAME IS....LOVED THE FIRST SHADOW WOLF BUT THIS ONE IS EVEN BETTER AND I JUST LOVE THE INTERACTIVE HOS, LOVE THE MUSIC,LOVE THE GRAPHICS AND SPOOKY STORYLINE. MORE OF THESE FAB GAMES PLEASE. Rated 5 out of 5 by doccat5 from Great Game! I love ER's games, the graphics are just outstanding! I agree with several of the other reviewers, the story line is a bit old, but over all it's a great game!